Extraordinary pictures of British jihadists boasting of fighting alongside Al Qaeda-linked groups in Syria emerged yesterday. At least 17 suspected Islamic extremists have posted messages on social media networks about their experiences in the war-torn Middle East state – in a bid to encourage other Britons to join them. 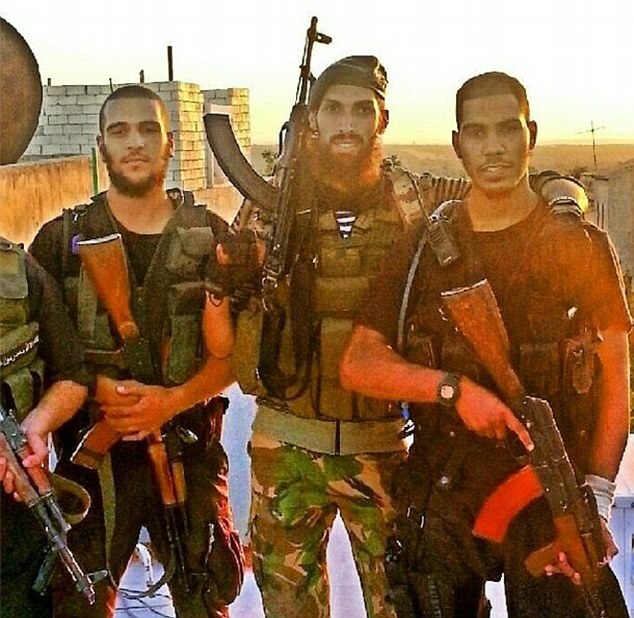 One referred to fighting in Syria as ‘5-star jihad’ because of its ‘relaxing’ nature, and photos glorifying their hate-filled mission 2,000 miles from their homes in London and Portsmouth have been posted online. 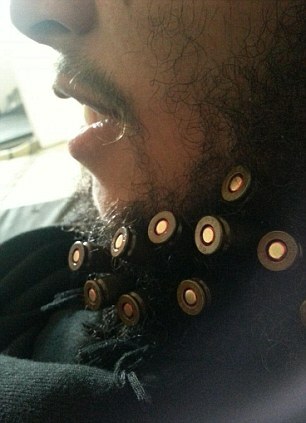 One image of a British fighter called Abu Qa’qaa shows how he could carry extra ammunition in his beard. 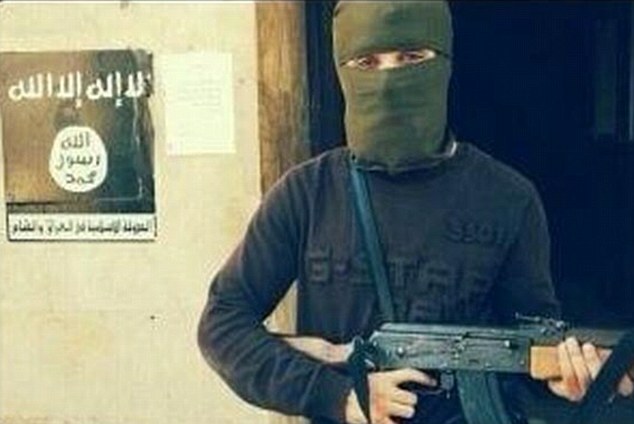 Another shows a combatant wearing a balaclava and holding an assault rifle. Security sources believe up to 350 UK citizens have joined Islamic extremists in deadly combat in Syria. Four – including the son of a London antiques dealer – were killed in two recent incidents. MI5 is becoming increasingly concerned about the threat posed by extremists who return to Britain from Syria, and might carry out an atrocity here. 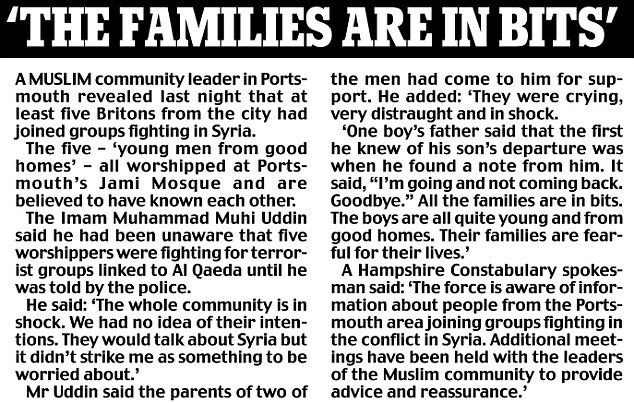 He lived in Southsea, Portsmouth, before flying to Turkey in May, and making his way across the border to Syria to wage jihad. 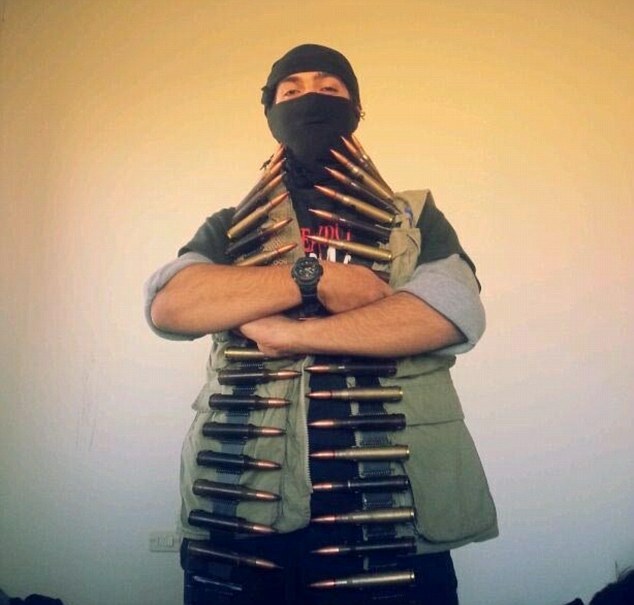 Jaman is 23 and is known in Syria as Abu Abdur Rahman Al-Britani or Abu Abdur Rahman Al-Bengali. In his posts, Jaman – whose parents are originally from Bangladesh – refers to dying as a martyr. On September 30, he said: ‘Any brother hoping to come, then come. Alone or with a group. On September 21, he said: ‘There are people who think that the jihad in Syria is 24/7 fighting but it’s much more relaxed than that. They’re calling it a 5-star jihad.’ Yesterday Jaman’s distraught mother Hena Choudhury told the Mail that she had thought her son was in Turkey studying. The director general of the Security Service MI5, Andrew Parker, has warned of the growing threat posed by jihadists travelling to and from Syria. Three men, believed to be radicalised Muslims from London, died in an explosion as they attacked forces loyal to President Assad near Aleppo. The fourth was shot two weeks later. One of the men has been named as Mohammed el-Araj, 23, of Ladbroke Grove, West London, the son of an antiques dealer. He also used the name Abu Khalid. A Briton calling himself Abu Hujama al-Britani was also killed.